Marine E mporium Landing at Channel Islands Harbor is a great destination for waterfront fun in Oxnard. In addition to restaurants and specialty shops, you’ll find kayak rentals and tours, spa pampering, sportfishing charters, dive trips, jetski and electric boat rentals, Segway rentals, walking paths and excursions to Channel Islands National Park. Docked at Marine Emporium is the Scarlett Belle Paddlewheeler available for private parties, special events and group outings. This is the site for many harbor festivals and events. See more at here. 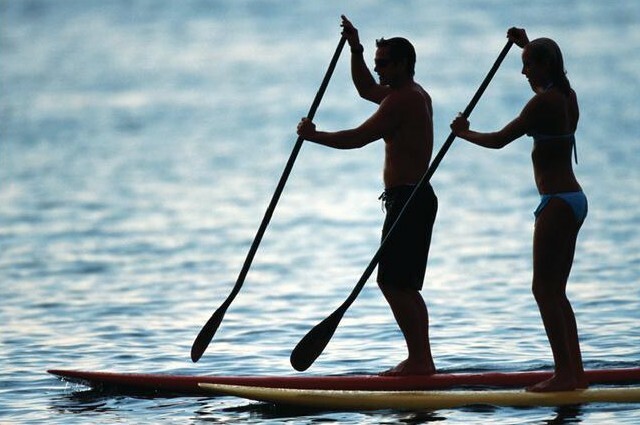 Seabridge Marina has a public water access point perfect for Kayaks and SUP’s. Hopper Boat Rentals can be found in Seabridge where you can find amost any kind of U-Drive boat you’ve been looking for. We have stand up paddle boards, kayaks, paddle boats, and electric boats, all available for hourly rentals.